Everybody has a reason for running a marathon. There are thousands of reasons to run one. We are giving you 10 to run the Marathon Valencia Trinidad Alfonso EDP the next 2 December in the City of Running. 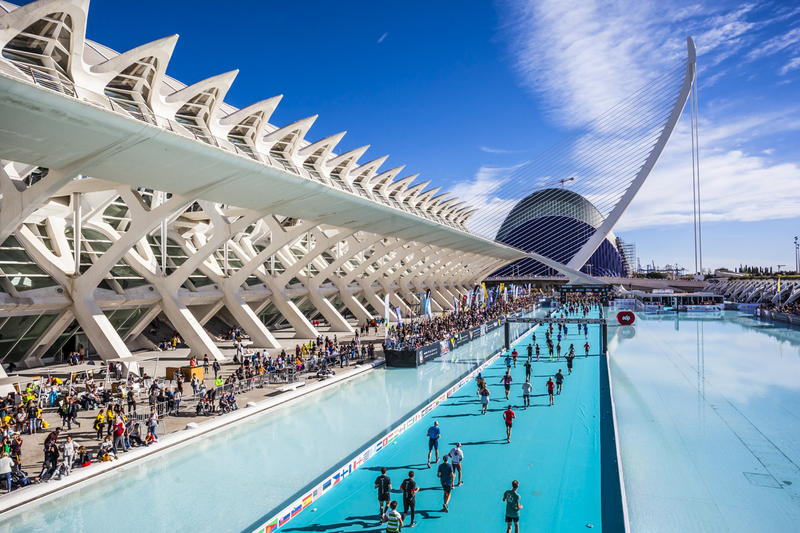 You will experience a unique start and finish in the surroundings of the City of Arts and Sciences where you will cross the finish line on a boardwalk over water next to the Umbracle and the Prince Philip Museum. València has no hills. It is almost completely flat. If you are looking for a quick time, this is your marathon. 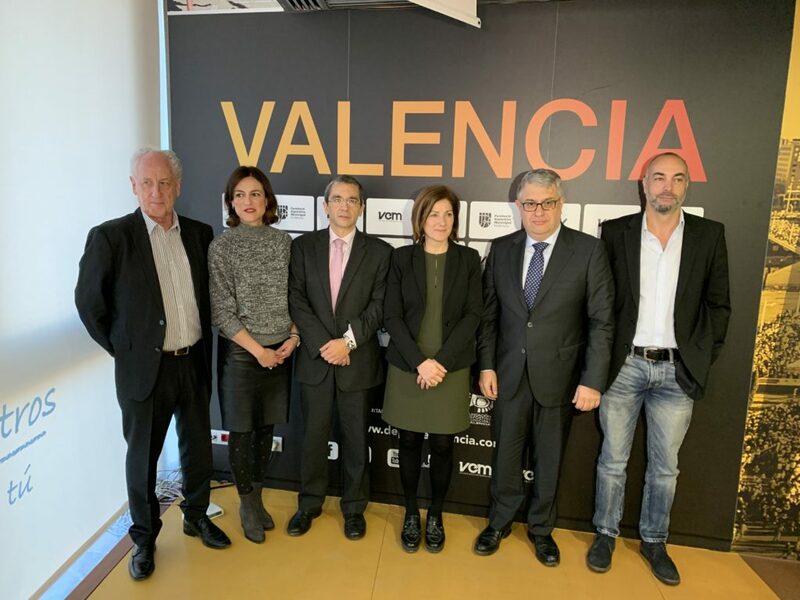 The runners are the real protagonists on 2 December and València knows it. Each year more than 200,000 people come out onto the streets to cheer on the runners and the 200 cheering points will have you flying to the finish line. We know that training for a marathon is hard. Therefore, if you get injured, we will return the full amount of your registration on production of a medical certificate. +info here. There are many special offers on travel to València. Discounts on travelling with Iberia, KLM and Renfe and the best services for runners can be found on the WelcomeToValencia portal. Hotels with late check-out, shuttle to the start, runners’ breakfast and much more. You are the protagonist and this is why you will receive a runner’s care bag, full of refreshments and a wide range of medical aids to ensure you crown your race with a finisher’s medal. Did you know that… there is parallel race that shares the start and finish lines with the Marathon, but takes a different route? The Valencia 10K Trinidad Alfonso is perfect for companions, get your personal best time and enjoy the City of Running. The runners’ trade fair is held in the heart of the City of Arts and Sciences. In addition to collecting your bib and runner’s bag you will be able to enjoy the Breakfast Run, Paella Party, Mini Marathon… and much more. 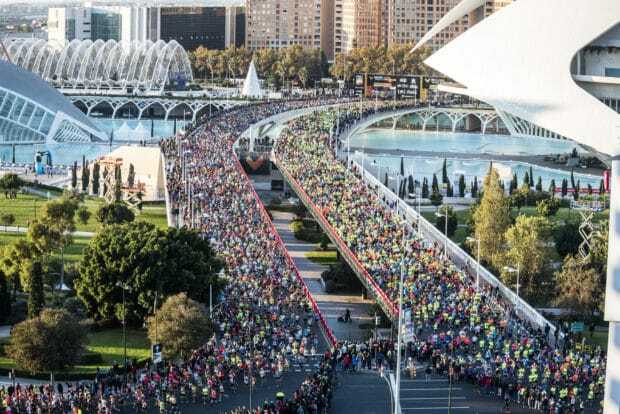 The Valencia Half Marathon, which takes place 28 October, is a course where the female world record was broken and it was the first 21K to receive the IAAF gold label. 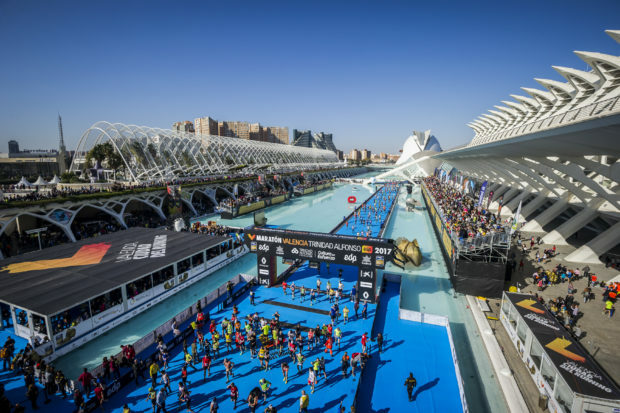 It is a golden opportunity to see how you are going before the Valencia Marathon. 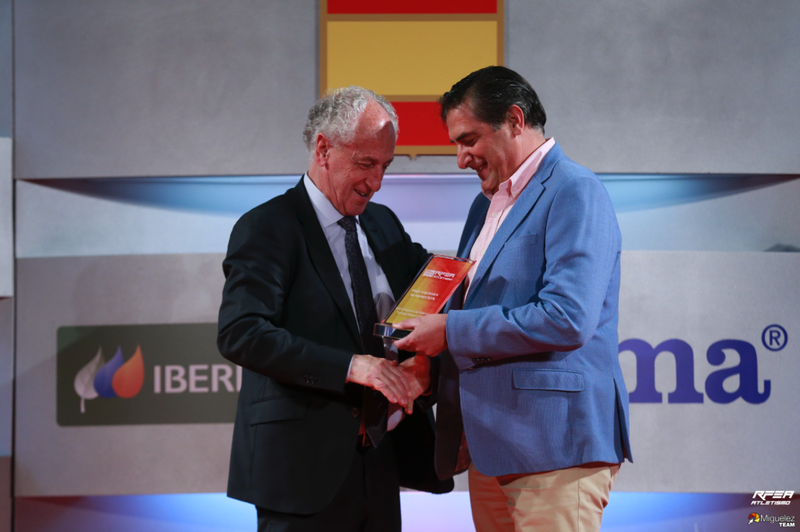 The Valencia Marathon Trinidad Alfonso EDP has again been ranked as Spain’s best 42-kilometre trial by the Royal Spanish Athletics Federation (RFEA) in 2018. Among other things, the RFEA ranking takes into account the quality of the event’s organisation and its services for runners.